As someone who started my career working for a United States Representative on Capitol Hill, I know first-hand how the fast pace of government can prepare you for a variety of careers. Shayna Varner has moved effortlessly between the public and private sectors, putting her skills to work for a variety of in-house and agency clients. She has also enthusiastically seized the career opportunities that have come her way - a great lesson both for recent grads and those a little more advanced in their careers. I work as a Public Relations Account Supervisor at the Karma Agency - a strategic content and communications agency - located in Philadelphia, Pennsylvania. Where do you live, where are you from and where did you go to school? I live in a small loft apartment in Old City, Philadelphia - just a block from Benjamin Franklin's final resting place, Independence Hall, the Liberty Bell and the first United States Post Office. Pretty cool, no? :) I'm originally from Moundsville, a small town in West Virginia's Northern Panhandle. I graduated from Harding University in 2009 with a bachelor's degree in public relations and from West Virginia University in 2013 with a master's degree in integrated marketing communications. What was your career path to your current position? A few weeks after I graduated from Harding in December 2009, I started working on my master's degree and working with the Community Connect Foundation as the Project Coordinator for the Foundation's Statewide E-Government Project. As project coordinator, I worked with high school teachers to connect social studies and government students with elected officials at the county and local levels to develop sustainable, informative and professional websites for every county and incorporated municipality in West Virginia. A few months later, I was contacted by Beyond Marketing, an integrated marketing and communications agency in Wheeling, West Virginia and the agency where I completed my college-required internship, to join the team as a communications specialist for a local two hospital health system. In this role, I oversaw all public relations, marketing and advertising functions for the organization, developing marketing plans for various community education events and hospital programs and services, and led all media relations and crisis communications efforts. Two years into my role at the hospital, Beyond Marketing hired me as part of its full-time staff which allowed me to expand my communications experience in to a number of different industries including government agencies, sports and entertainment, community non- profit organizations with an emphasis in healthcare communications. After a few months, I took an Account Executive position with Charles Ryan Associates, the largest (and only women owned) integrated communications agency in West Virginia located in Charleston - our state's capital city. At CRA, I balanced the integrated communications, branding and advertising needs for a variety of different accounts including those in the tourism, entertainment, workers' compensation and oil and natural gas industries. 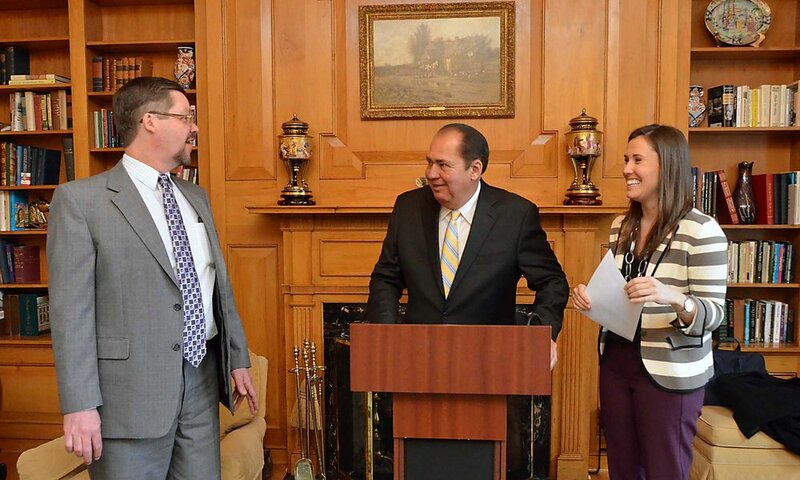 A little over a year into my time at CRA, I was recruited to join Governor Earl Ray Tomblin's communications team as Deputy Press Secretary. Eight months later, I was promoted to Press Secretary. During my time in the Governor's Office, I had the honor and privilege of crafting critical messaging to advance the governor’s initiatives through day-to-day media outreach and crisis communications. 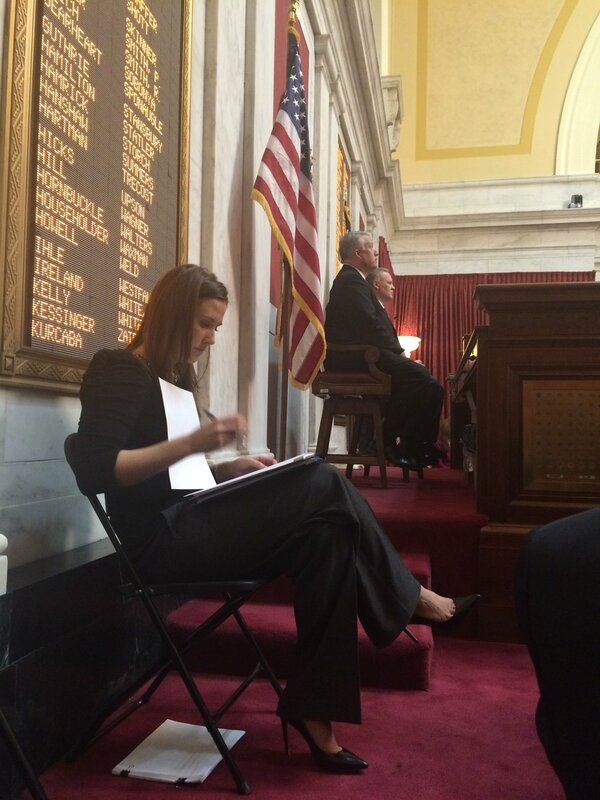 I also served as the primary speechwriter for the governor's annual State of the State address. In July 2016, just a few months before the end of Governor Tomblin's final term in office (he is limited after serving two consecutive terms), I moved to the City of Brotherly Love and joined the Karma Agency's public relations team as an Account Supervisor where work with B2B clients in the pharmaceutical, nutraceutical and chemical spaces. What inspired you to pursue a career in government? My father. For 20 years, he served as a member of the West Virginia House of Delegates. For sixteen of those years, he served as Majority Whip. Growing up, I remember my mom loading my younger brother and I up in our family minivan and traveling to Charleston to spend a weekend or a few days with him while he was working. I was fascinated by all of the sights and sounds and the inner workings of state government. I didn't realize it then, but I look back at all of those moments now and I see something much bigger - all of those late nights spent crouched over his desk and weekends spent at the Capitol were to make West Virginia a better place for my brother and I and all West Virginians to live, work and raise a family. I have always been proud to be his daughter. After spending three years under the dome and to have the privilege of seeing how the work he accomplished made a real difference, I'm even more proud to call him my dad. 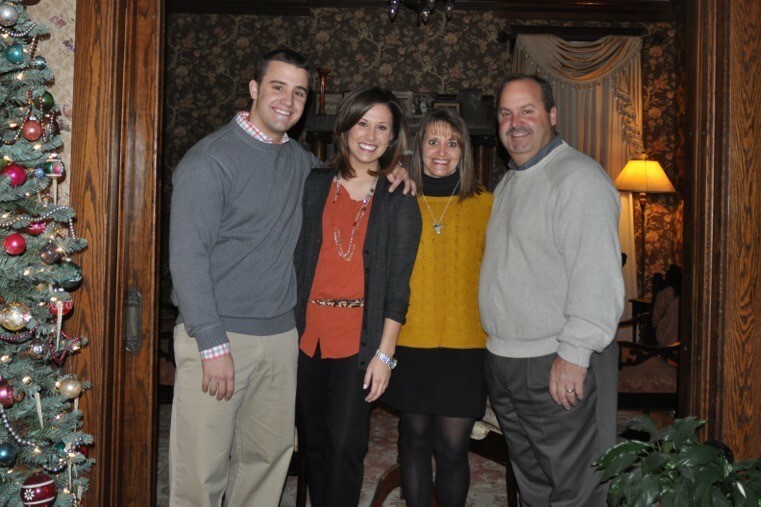 How did you get your job in Governor Tomblin's office? I had worked with Charles Ryan Associates for a little over a year when I got a phone call from Governor Tomblin's communications director asking me to join his communications team as Deputy Press Secretary. I visited to the office, sat down with the team and a week or two later, I walked in to the State Capitol as part of the governor's staff. What was a typical work day like in the Governor's Office? What about in your new agency position? Every day in the Governor's Office was different, but our communications team always started the day with a strong cup of coffee and a morning briefing to talk through any hot topics that popped up overnight and develop a communications strategy for how the governor might respond when asked about those issues. With whatever time we had left, we'd talk about what briefings, talking points or formal speeches may be on the horizon and get a better handle on everyone's workload. To be honest? That's where the typical-ness of each day ended. By the time we wrapped up our briefing, the day had already started and so had the madness. The governor's Communications Director (now Chief of Staff) Chris Stadelman and I used to joke that no matter what craziness or nonsense the day might bring, we could always be sure of one thing - we come to work, we get interrupted, we go home. Although we used to laugh about it (and I still do), it's so true on so many levels. I would say that agency life is very similar! I work with a super talented and great team that juggles the integrated communications needs for some major, internationally known players in the pharmaceutical, nutraceutical and chemical industries. Each day starts out with a plan and deadlines (which we always find a way to meet), but sometimes there are a few detours along the way! Traveling. For me, there's something incredibly inspiring about experiencing new cultures, falling in love with places you've never seen and people you've never met, and learning to see the world in ways you never expected. What are three books you've read this year? "The Speechwriter" by Barton Swaim, "Me Before You" by Jojo Moyes, "The Help" by Kathryn Stockett. What tips would you offer people who want to work in government or politics? Be a good listener. It's okay to be the youngest person in the room, and it's okay to not have all of the answers. There is always room to compromise - in fact, I would argue better policy and better government comes from compromise. And learn as much as you can from everyone you can, even those who may have a different political affiliation than you. What advice do you have for people who want to transition between the public and private sectors? Look for opportunities that will help you blend what you already know with the skills you want to learn. It will make you better in the long run! Many people who read this are in the midst of or are looking for internships. What can they do during their internships to best position themselves for a later job hunt? Take your internship seriously - my summer internship landed me my first 'big girl' job. That summer, I was one of three interns that worked alongside Beyond Marketing's account staff and I took every opportunity to ask questions, take on new responsibilities and I never turned down the opportunity to join the senior account team for client meetings. Getting that type of hands-on experience and being part of developing a strategy from brainstorming to execution helped me understand how the industry worked and my role in all of it. What advice would you offer to new grads starting out their careers? Keep your head up! It's okay to feel a little overwhelmed the first few weeks of your first job. That overwhelming feeling is usually a good sign - it means you're learning. Thank you, Shayna! You can connect with her via LinkedIn, Instagram and Facebook. * All photos courtesy of Shayna Varner. As much as I love technology - and am addicted to Instagram and Snapchat - I still keep track of my to do lists, television segment plans and schedule the old-fashioned way: on paper. I am forever looking for pretty papers to write on, since I get bored with plain old spiral notebooks. I like colorful papers that inspire me and put a smile on my face, and scoop them up wherever I find them! The Francophile in me was very happy to spot this set of Parisian notebooks at P.O.S.H. Chicago. Walking into this shop feels like being transported to the French countryside. I also spotted these at Target during a visit to Portland. I may or may not have bought every one that was on the shelf that day. The covers are adorable, and the pink, orange, blue and green pages are so cheerful - and reminiscent of the pastel notebooks I always used in school. Plus, the paper in these greenroom notebooks is recycled - a double win. These are also compact, and easily slip into my bag or laptop case when traveling. Any other stylish notebook finds? Please comment and include a link!